Some places will always have a special place in your heart. For me, it’s Puerto Rico. 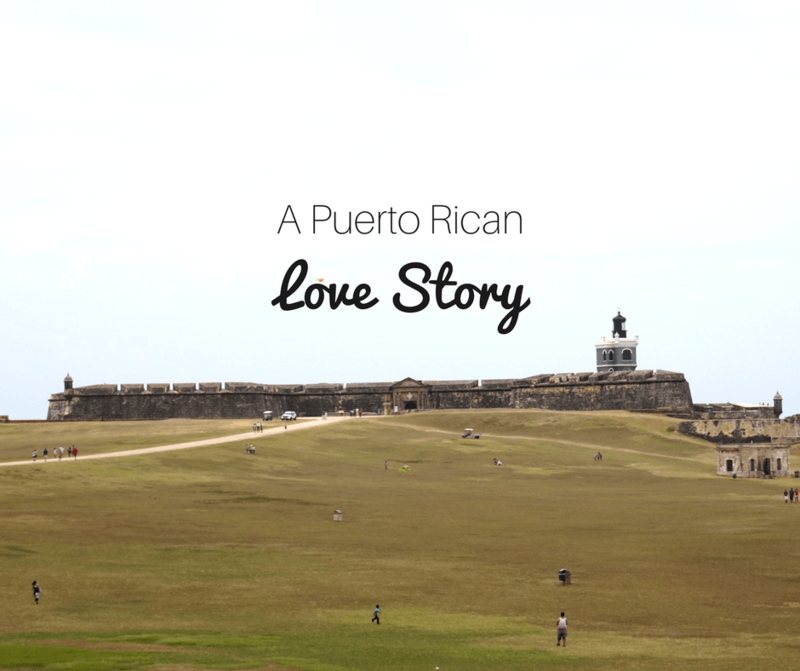 This is my Puerto Rican love story. I was born and raised in Miami. My father is from Guatemala and my mother is from Puerto Rico. As I kid, I went to Guatemala almost every summer but I only had been to Puerto Rico once when I was a baby. Needless to say, I didn’t remember anything. Then, finally, I was able to visit the small island for a few days. And I fell in love. It was a short stay, so I can’t wait to go back and get to know more of this beautiful island and my heritage. For years I wanted to see you. I wondered if I’d ever get a chance. And then for a brief moment, we were together. And it was a wonderful romance. But our time together was over way too quickly. It felt like such a tease. For now, only in my dreams. What place have you fallen in love with? I have a problem, I fall in love with many places! But two places in particular have totally swept me and my heart away, the magical Venice, and charming Riomaggiore! But Puerto Rico looks awesome and I’d LOVE to visit! I hope you get to see your love again. Heck, me too. I have a blissful week on the great island and hope to return some day. Ah, such a tease, Vicky. I planned three times this a winter a trip to Puerto Rico for my family. If it had all worked out, I’d have been there right now. 🙁 Hopefully, we can all get our work schedules lined up to go next year because I think I could easily fall for Puerto Rico. It looks absolutely beautiful from your photos, especially El Yunque. I keep trying to plan Puerto Rico for my bi-yearly girls week and it hasn’t worked out. This has inspired me to be persistent and come up with a they ‘can not refuse’ plan… and I’m directing them to this post! We actually have an unrequited love affair with Puerto Rico. We knew we wanted a destination wedding and our first choice was Puerto Rico. The family refused to travel overseas so we settled on Mexico (Puerto Penasco via Tucson AZ). In the end, the refused Mexico too. We just said we would get married on our honeymoon in Nassau and they all just joined in. However, if they would have gotten on board quicker, it would have been Puerto Rico. Now, as I am looking at my 401k and contemplating tax implications courting Puerto Rico and. Un vida sin tarrif? Que posible? No sey pero es muy interesante. I might have to brush up on my Spanish first and, probably actually visit before moving there at least 183 days out of the year. Puerto Rico looks amazing! Definitely a place I would love to visit, I love the nature and the architecture and your photos are very nice, They make you want to visit. I love your love story! Your pictures make me want to jump right in to Puerto Rico. It looks like there’s so much to see, experience and LOVE! I think I’ve always fallen in love with places that I visit, some much more than the others. Talking about Puerto Rico however, it’s one of the countries in the Caribbean that have always intrigued me, and I have no doubt that I’d fall in love with it too if I have the chance to go there one day! Oh, I loved Puerto Rico, too. Old San Juan is gorgeous and getting outta town was also amazing. I’d like to think there is enough love to go around for all the places – it’s prioritizing a return visit that I really struggle with. So much to see!!! Your photos are beautiful! I can totally understand your love story! The towns, the cobbled streets, the architecture – there is so much to love! I can totally see why you’d fall in love! Beautiful landscapes, waterfalls, palm trees, towers, and colorful cobble-stoned streets…I’d be all over that, too! Good photos of Puerto Rico! A poetry of prose and photos! What a treat to see Puerto Rico this way.